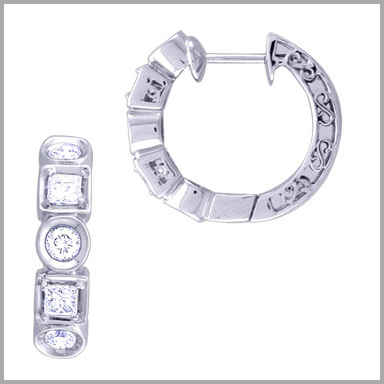 14k white gold and diamonds hoop earrings,1.000 ct of diamonds. 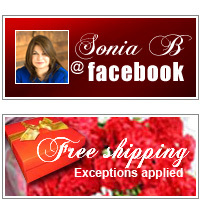 These brilliant earrings are simple and elegant. They are styled from 14K yellow or white gold with a polished finish and each earring features two princess cut diamonds in a bezel setting alternating with three round full cut diamonds , the total diamond weight is approx. 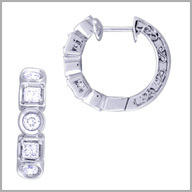 1.000ct if G-H in color and SI2 in clarity.The earrings have hinged snap back, measurement is 7/8"X5/8".